I've received some great, fantastic, fabulous news today and, as a result, I have the attention span of a humming-bird at a candy factory. I would love to tell you all about it, but I can't. SO, instead of writing anything of my own, I'm going to give you some links to articles I thought were fabulous. In this post John Ward talks about The Million Follower Fallacy. The short version: It isn't how many followers/friends you have, it's how connected you are to them. Well worth the read. John also put together a great post about how to build up a community. This is something John Ward knows a lot about so, again, well worth the read. 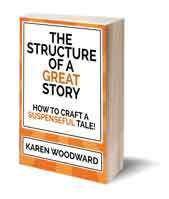 Finally, here's a post from John Ward and Nathan Lowell about why books bomb. Yesterday I wrote about how to make your readers cry and, today, found this amazing article on the subject written by writer and editor Kim Aippersbach: Writing Emotion: How do great writers do it? Kim talks about how to elicit emotion through physical sensations, metaphor, gestures, objects, other characters and dialogue. And she includes LOTS of examples. 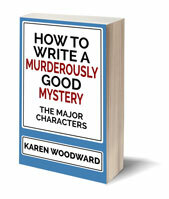 I can't recommend her article, or her book review blog, highly enough. Penelope Trunk's blog is amazing. Really. She covers a diverse range of topics. Sometimes she'll write about bedbugs--and make it interesting!--sometime she talks about time management, sometimes about writing, and sometimes about the difficulties she's having in her relationship. Today Penelope blogged about how dreams can be a distraction. The trick is to come up with a plan, to make goals, to achieve your dream. Goals are dreams that have a plan. Goals get done. Dreams don’t get done. My son is obsessed with the apocalypse. I’m not really even sure what the apocalypse is. I thought it was peak oil, but increasingly I think that it’s zombies. At any rate, he has joined the ranks of those making extensive preparations. At first I ignored his rants about off-the-grid heating and stockpiling food. But then I thought: learning moment. And I showed him how to use Microsoft Project to turn his dream of survival into a plan. Now each family member has assignments, and, surprisingly enough, we are doing them. The Farmer just bought a generator, I found Enerhealth’s bucket of food for forty days of survival (it’s organic! ), and my son is investigating Radiant Heating for our floors. Penelope's links are great too, that's one of the things I love about her articles. Be warned, though! They can be where your free time goes to die. Well, that's it for today! What are your dreams? How have you translated them into goals for 2013? 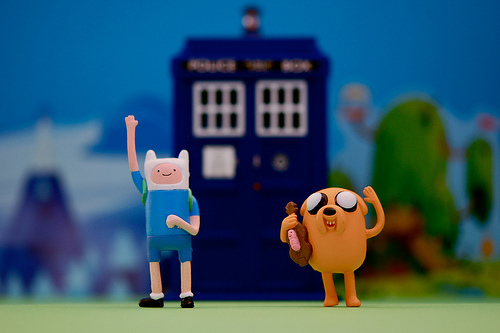 Photo credit: "Adventure Time And Relative Dimension In Space" by JD Hancock under Creative Commons Attribution 2.0.